The airline committed to ordering 30 planes with options for 20 more in a deal that would be valued at up to $5.9 billion at list price. The deal is subject to both sides concluding final terms and conditions and a purchase agreement. Saudi Arabian Airlines will increase its flights between Saudi Arabia and Los Angeles from three departures a week to five from June 1st. This is in anticipation of increased demand during the peak season and in keeping with its continued expansion in its services in North America and elsewhere. Manchester Airport has welcomed its first direct flight from Jeddah for over five years, as Saudia’s inaugural flight touched down at Terminal Two. The new route, which will operate three times a week, will be a great asset to businesses in the region and Saudi Arabia, plus it will also be incredibly beneficial to Greater Manchester’s Muslim community during festivals such as Hajj. Boeing and Saudi Arabian Airlines Holding have signed a broad collaboration agreement allowing the companies to pursue possible partnership opportunities in the areas of defence and commercial aviation that will benefit customers and generate new business in the Kingdom of Saudi Arabia. “We are pleased to sign this collaboration agreement with Boeing to support the transformation process Saudia is going through, and hope both Saudia and Boeing will get the anticipated commercial, economic and social benefits out of such collaboration,” said Khalid Almolhem, director general, Saudi Arabian Airlines. Saudi Airlines, the national carrier for Saudi Arabia, has announced a return to Manchester Airport with a direct route between Manchester and Jeddah starting in March 2014. Flights will commence three times a week from April 2014. A Boeing 767 operated by Saudi Arabian Airlines has made an emergency landing in the city of Medina, with reports of 29 injuries to those on board. Three people are believed serious hurt following the accident, with 11 taken to hospital. Saudia is expanding its inflight connectivity programme on routes between the kingdom of Saudi Arabia and most of Saudia worldwide destinations. This comes after Saudia has been providing OnAir’s GSM and Wi-Fi on its A330s for nearly three years. Route Exchange, the online platform for air service development, has announced the commencement of a Request for Proposal from Saudia, who are using the facility to support their network growth. The national airline of Saudi Arabia, based at Jeddah-King Abdulaziz International Airport, operates domestic and international scheduled flights to over 70 destinations in the Middle East, Africa, Asia, Europe and North America. Sabre Travel Network Middle East, a technology company serving travel agencies and suppliers, has extended its fare-distribution agreement with Saudi Arabian Airlines. The agreement means more than 350,000 travel agents connected to Sabre will be guaranteed access to Saudi’s seats and fare classes. 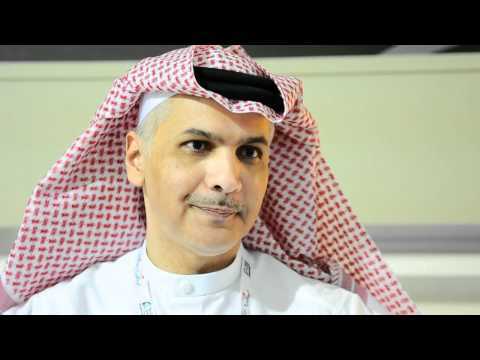 Abdulrahman H. Alfahad, Assistant Vice President, International Sales, Saudi Arabian Airlines talks to Breaking Travel news about the latest developments at the carrier.